May 24, 2011 - Jeppesen recently was formally approved by the U.S. Department of Homeland Security to issue Form I-20 documentation for training students, the first step required for obtaining a student visa for non-U.S. residents interested in participating in Jeppesen’s FAA dispatcher certification training program. For corporate flight departments, airline operation centers and other aviation professionals that require essential FAA dispatcher certification training, this student visa designation helps to simplify the often complex visa acquisition process. Previously, Jeppesen training participants were limited to apply for a business visa, a process which frequently results in a denial of the application. Jeppesen is now able to assist with both the business (B-1) and student (M-1) visa acquisition process, for participation in Jeppesen’s FAA dispatcher certification program in the United States. Jeppesen also has been approved to track students using the Student and Exchange Visitor Information System (SEVIS), to help ensure only legitimate foreign students or visitors gain entry into the U.S. The Student and Exchange Visitor Program (SEVP), a part of the U.S. Department of Homeland Security, uses this system to monitor foreign students and exchange visitors in the U.S.
“This approval means that Jeppesen training participants no longer are limited to apply for a business visa for U.S.-based training programs, a process which has been problematic from an approval standpoint,” said Thomas Wede, Jeppesen senior vice president and general manager, Aviation. “Now, potential Jeppesen training students are able to gain the essential Form I-20 from Jeppesen as the initial step of gaining a category M-1 student visa for entry into the U.S., as we help our student customers navigate the visa application process.” The licensed aircraft dispatcher will need to pass written, oral and practical examinations from the FAA or National Aviation Administration, which the Jeppesen training course prepares students to complete. FAA-certified aircraft dispatchers are equipped with a body of knowledge that is applicable to many aviation careers. Jeppesen training officials note that the visa acquisition process can be complex and lengthy, so potential students should begin the process at least two to three months in advance of the training course starting date. Jeppesen provides numerous training programs for flight instruction, navigation, operational enhancement and careers in the general, business, commercial and military aviation markets. 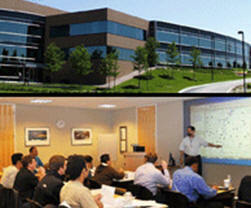 Many of the training programs offered are held onsite at the Denver-area headquarters of Jeppesen, in Englewood, Colo.